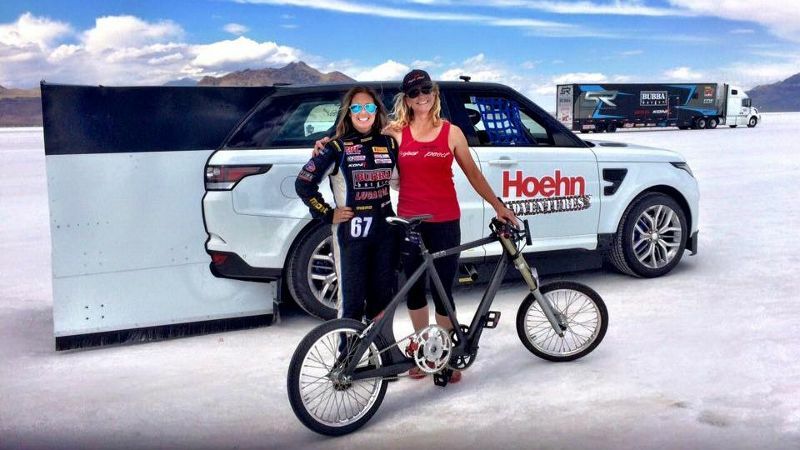 A modified Range Rover driven by Shea Holbrook, left, will pace Denise Mueller as she attempts the speed record on a special bicycle. It's expensive, dangerous and difficult, and putting herself in position to have a chance at pulling it off has taken four years of her life. So why would Denise Mueller -- 43-year-old mother of three, business owner and elite athlete from Carlsbad, California -- want to invest so much of herself to go faster than anyone ever has on a bicycle? "I have been asked that by a couple of people over the years, and the first and easy answer is, why not, right?" Mueller said, laughing. "But really, how many chances do you get to be the first person ever to be able to do something as a female? Men have done this record since 1899, and a woman has never even tried to do this record. So, why not? I get to be the first ever." John Howard, right, whose 1985 speed record has since been broken, is training Denise Mueller for her attempt. From Saturday to Tuesday on the Bonneville Salt Flats in Utah, Mueller will attempt to break the world record -- 167 mph -- for the fastest speed on a paced bicycle. 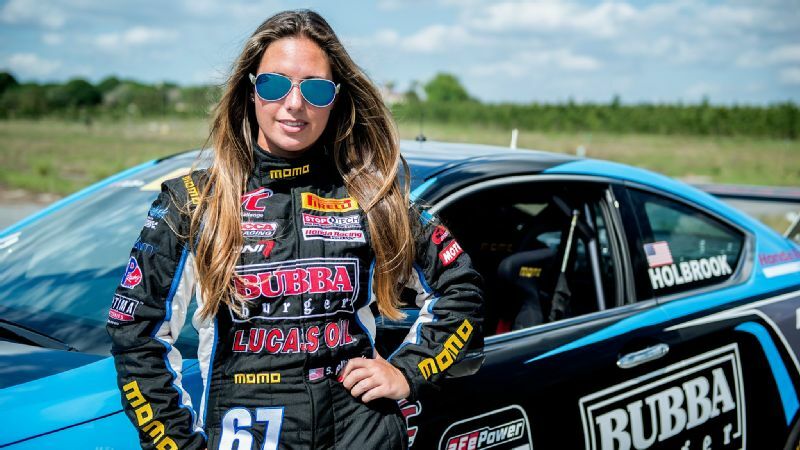 She has a partner in the endeavor: Sports car racer Shea Holbrook will pace Mueller in the world's fastest production SUV, a $112,000 Range Rover Sport SVR. Mueller will be towed on her bike to 90 mph and released. Then she's on her own to gain speed while staying only 2 to 3 feet off the rear bumper of the Range Rover, tucked within a tail fairing (it looks like a three-sided box) that creates an aerodynamic vortex. She'll be able to make repeated runs on a 5-mile-long stretch of compacted table salt. Neither the cyclist nor the driver can make a mistake. "The importance of my job is to keep Denise alive, honestly," Holbrook said. "Everything that I have been taught, I have to reverse because we are going to be accelerating at a slow rate of speed. I'm used to fast inputs, fast thinking, fast reaction; whereas, with this, it's still fast thinking, but at a slower pace." The land-speed record for paced bicycles is an odd one because it has been set only 10 times over three centuries. It was thought up, according to Mueller's The Project Speed website, by Charles "Mile-A-Minute" Murphy, who drafted behind a train to set a 60 mph record at the end of the 19th century. The current record was set in 1995 by Dutch cyclist Fred Rompelberg, who drafted behind a converted 1,000-horsepower dragster. Mueller's bid, though, is not all or nothing. She'll set a women's record if she makes a successful attempt. Even if she doesn't break the record, she would still set the cycling world on its ear if she beat the 152.2 mph mark set in 1985 by American John Howard. The importance of my job is to keep Denise alive, honestly. Howard, a three-time Olympic cyclist and Ironman Triathlon champion, is Mueller's coach and trainer. In fact, it was his idea to have her go for the record. He had coached Mueller when she was a cycling prodigy in juniors, winning 13 national championships in road, track and mountain bike racing and scoring two podium finishes in the junior world championships. Coach and pupil reconnected when Howard began training Mueller's middle son, Michael, for half-marathons. "I wanted to pull her out of retirement because I knew there was still a tremendous amount of athletic ability in this woman, and I wanted to see her accomplish some of the things she didn't accomplish as a junior," Howard said. "So I encouraged her to come back and race bicycles actually as component of the speed record, because I think that's the one I threw out first -- that was the carrot, and it worked." That was in 2012. Mueller was busy with her boys and her job as CEO of Rancho Santa Fe Security Systems, a company founded by her father. When Howard broached the idea of going for the record, Mueller, who also has dabbled in car racing, was ready to start training. "The instant he said it, I'm talking instantly, I was in," Mueller said. 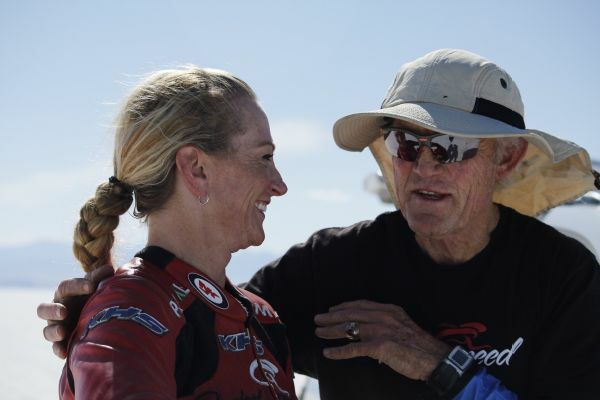 "After being off the bike for more or less 20 years, she came back and won a Masters National Criterion Championship [in 2014]," Howard said. "Believe me, that is not easy to do. It's dangerous, it's fast, it's cutthroat. There's a whole lot of reasons not to do it, but she won the national championship, and then the next year came back and did it again." It took four years for Mueller and Howard to put together a team and assemble the components to attempt the record. They needed a fast car, and a hometown dealership chain -- Hoehn Motors of San Diego County -- came through with the Range Rover as an extension of its rally racing program. 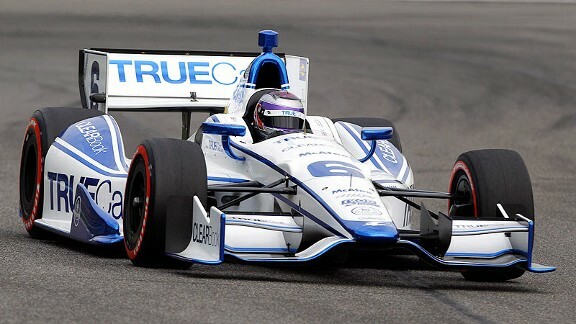 They needed a professional driver, and Holbrook, a six-race winner under the Pirelli World Challenge banner, bought in. "I've never been more inspired by two people," Holbrook said. Of course, Mueller needed a bicycle built to go three times as fast as she'd ever gone on a road bike. San Diego's Len Lochmiller, in conjunction with SD Wheel Works, handcrafted a bike that has 17-inch motorcycle wheels and tires, an elongated monocoque carbon frame and a "short travel" suspension to dampen vibration. Double-reduction gearing borrowed from industrial applications makes the high speeds possible, and an attachment will keep Mueller from hitting the vehicle's back bumper with her front wheel. The Range Rover was dressed up with front and side skirts to block as much air as possible and, of course, the tail fairing. Denise Mueller is tucked behind the Range Rover while practicing at the Bonneville Salt Flats in Utah. The exhaust pipes were rerouted to the sides of the vehicle so Mueller isn't breathing fumes. Mueller will wear a downhill mountain bike racing helmet and custom leather and Lycra to protect her from the wind and abrasive salt. She'll have Bluetooth communication with Holbrook and Howard in the vehicle. It'll still be a hairy ride. "The best description I have," Howard said, based on his 1985 experience, "is it's exhilarating and terrifying in the same moment. Your mind is working on overload. You're working inside of a very tight vortex, the car is going extremely fast, quite often there's a little bit of side-to-side oscillation taking place, and you're tracking inside of a low-pressure center." He says Mueller is up to the task. "My theory on this is she is an amazing athlete who has been able to push the age envelope a bit further than most athletes," Howard said. "Typically, women are able to do that easier than men, and Denise is a prime example of that. At 43, she is as strong as she has ever been. She can deadlift 230 pounds. That's the kind of power it takes to do this kind of an effort." The record attempt almost didn't happen. 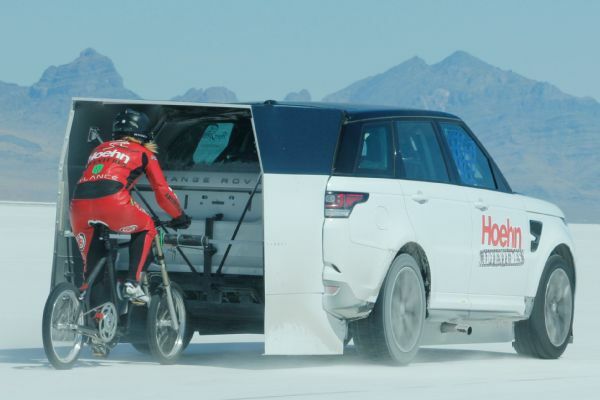 When the trio went to Bonneville in August to test, the Range Rover failed the tech inspection because it didn't have the safety modifications required by the promoter. Hoehn Motors made the required changes, and Mueller and Holbrook tested over Labor Day weekend while the track was closed. Holbrook calls those "rebel runs," and there's no official timing. "Going for this record ... is complicated, which is probably one of the reasons it's been a long time since it's been done," Mueller said. "And it's a little crazy. It's a little Evel Knievel-ish, because it's such a high speed. There aren't too many people that are willing to go through all the hoops and then really have the sort of guts to be able to do something of this nature." On the salt flats of northwestern Utah, history beckons. Somebody's coming for a piece of it.